You may already know, and we have told you before, our universe is huge! Only a few of us are lucky enough to explore the entire planet we live on. And Earth is only a small little ball in our solar system. Jupiter, the biggest planet in our system, has a volume of over 1300 times Earth. And again, Jupiter is only a small ball in our solar system. That’s because our solar system consists mainly of nothing; absolute sheer nothingness all around. If you want to travel from Earth to Mars, you need to bring enough food to travel 54.6 million kilometers. If you then want to continue to Jupiter you’ll need to cover a minimum distance of 547 million kilometers. As said, that is a whole lot of nothingness, and that is only in our solar system. Now, our Sun and its planets is not unique. There are many stars in the sky, the nearest being Alpha Centauri A. This star is trillions of kilometers away from our system. The distance is so large, that it is measured in light years, rather than kilometers. 1 light year equals about 9.5 trillion kilometers, and Alpha Centauri A is 4.3 light years away. Now when you look at the stars in the night sky, you can see there are an uncountable amount of them. If you are lucky enough to have a clear sky site, with no light pollution and clouds, you might have witnessed a very clear band of light. This light is emitted by millions of stars, they form part of the Milky Way. This Milky Way is the galaxy that our solar system is part of. A galaxy is a collection of dust, gases and stars, billions of stars. They are kept together by gravity, often caused by a giant black hole in the center. Our galaxy has between 250 and 400 billion stars. The Sun can be found in one of the arms, called the Orion arm. This is because the our galaxy is spiral shaped. The Milky Way was formed about 12 billion years ago. Over time, it has merged with other galaxies, thus expanding in size. It is estimated to have a diameter of 180.000 light years. Some other galaxies are round, or elliptical, or have an irregular shape. There might be other shapes out there, we don’t know. This is because we don’t know how many galaxies are out there. 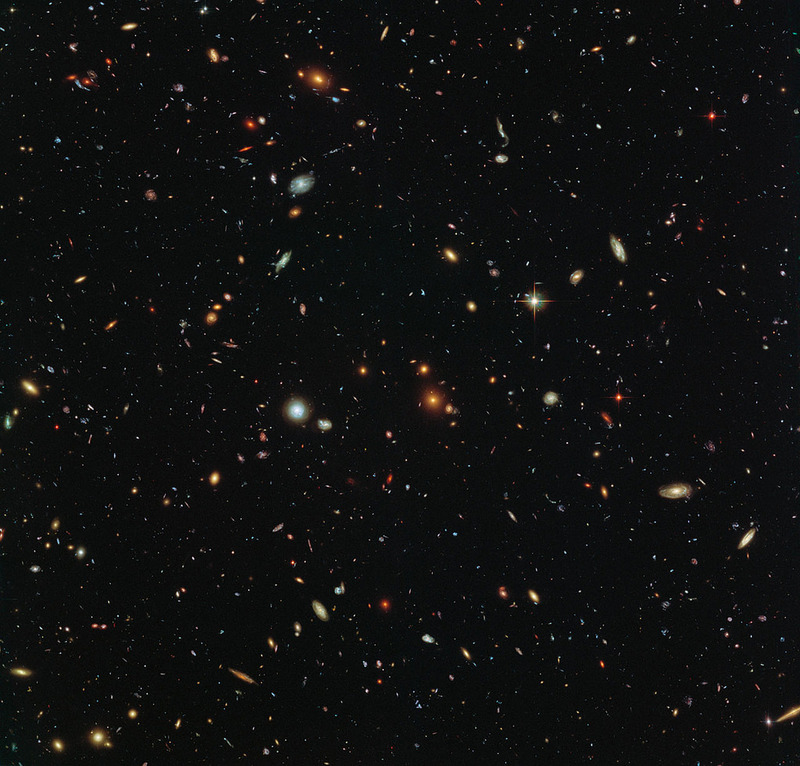 Astronomers now think there are as many as 100 billion galaxies in our night’s sky. A good example to show the sheer amount of galaxies is by having a look at a picture taken by the Hubble Space Telescope. This telescope looked a certain point in space for 12 days. Every dot you see is a galaxy on its own, maybe with billion stars. There are about 10.000 dots in this picture. 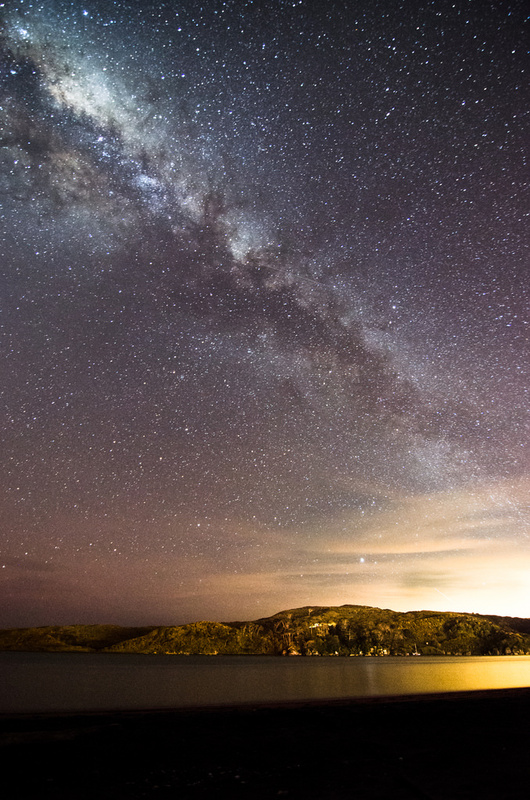 So this one photo alone proves how enormous our universe really is.